Greetings! I am Teacher Jay. I am a Senior High School student. I am also a musician who plays almost all musical instruments. I listen to different genres of music, so you can tell I really love music. I wanted to become an ESL teacher because when I was a kid, English was my first language, so I have already gotten used to speaking it. 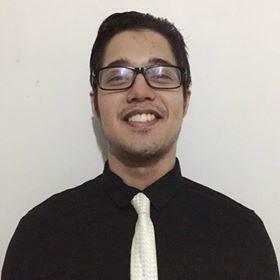 Teacher Jay is currently studying as Senior High School student in the Philippines. He loves music, so he plays guitar, drums, and also sings. Since his first language was English, he can speak very fluently. He decided to be an ESL teacher because with the knowledge and skills he has in the English language, he can share these with students. He pays attention to detail in the grammar of students, and also gives proper feedback on what they have accomplished and what they need to work on. He'll be best suited for beginner to intermediate levels. Thank you, teacher Jay. You are always kind of lesson. I really enjoy studying English pronunciation. He fixed my sentences and gave smart examples, so I got better ideas from him.